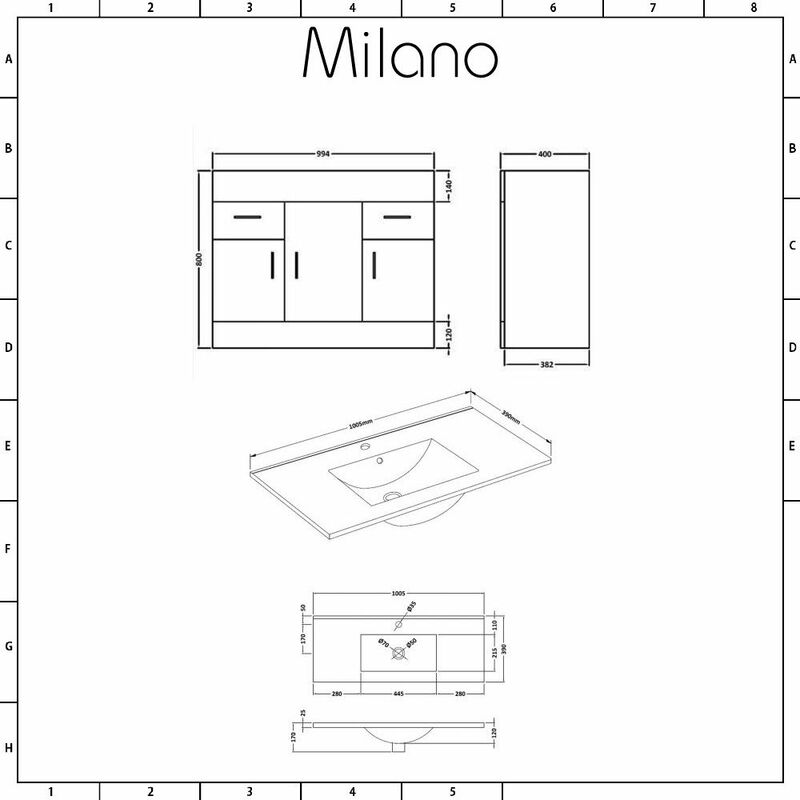 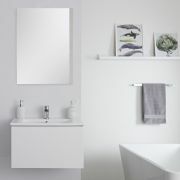 Create a modern, stylish look in your bathroom and introduce space-saving storage with the floor-standing Milano Minimalist 1000mm vanity unit and basin. 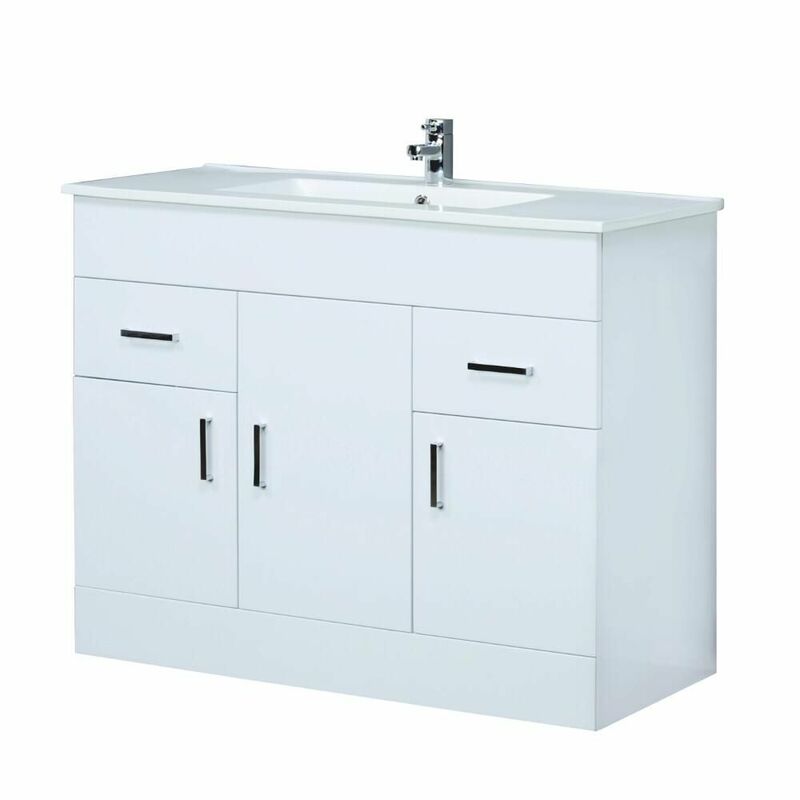 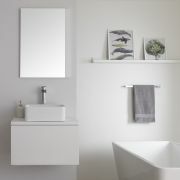 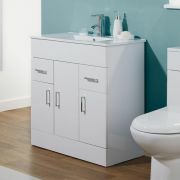 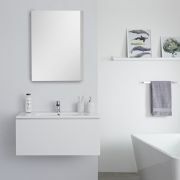 Crafted from robust moisture resistant engineered wood for long-lasting use and finished in an eye-catching gloss white, the Minimalist vanity unit makes a real statement. 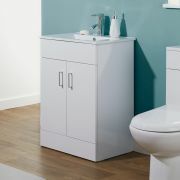 Storage is provided for all your bathroom essentials courtesy of three generous cupboards and two spacious drawers, all with soft close technology and accentuated with chrome handles for a contemporary look. 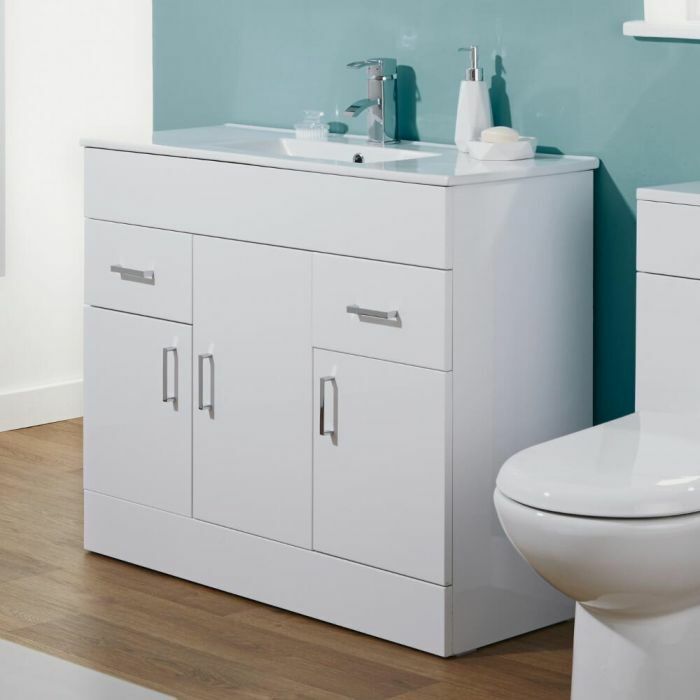 To allow pipework to be fitted, the back panel can be either cut or removed, making it adaptable to your needs. 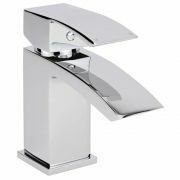 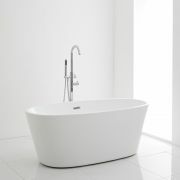 A high quality ceramic basin, finished with an easy to clean white glaze, completes the look and is fitted with a single tap-hole, making it compatible with any of the mono taps in our range.